Children noisy? Have an early morning foot-dragger? Do you worry whether jeans are appropriate church attire? None of that matters to us. At Nankin Community Church, we understand that the first visit to a new place of worship can be a stressful occasion. Some worry that their clothes aren't right -- not new or dressy enough. Others are fearful of the reception they might receive because of the challenges they've faced in life or because of the choices they've made. We're Nankin Community Church, and we're honored to meet you. Stick around for the duration and see what our community is all about. Here, you'll find a safe place to worship, a refuge free from judgment, where you can grow and flourish in your knowledge of God and the many miracles He's waiting to work in your life. 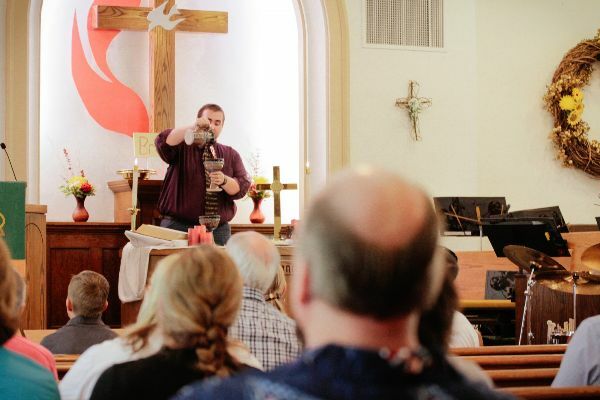 Since the moment founder John Wesley first felt his heart "strangely warmed," by the rewards of preaching the Methodist doctrine to the masses as a traveling minister, the United Methodist Church has made reaching out to the community a top priority. Our Sunday schedule strives to be accommodating to everyone -- from early risers to those who work the weekends. 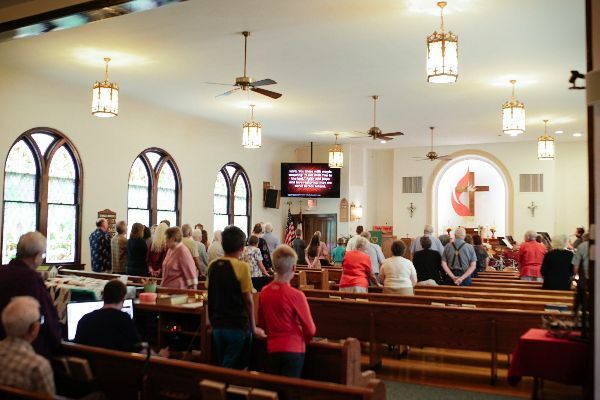 Our day of worship begins at 9:30 am with classes for both children and adults. Our blended worship service begins at 10:30 am. For those who can't attend on Sunday mornings, we offer a 4 pm prayer gathering and youth classes that plan activities throughout the year. Attend any one or all of them, and you'll be met with a friendly welcome and smiles all around. So stop by and see us this Sunday morning, and bring the most spirited children, the most reluctant in-laws, the most out- spoken husband and the most taciturn teen. We're here to provide a safe place for everyone to reconnect with God and their community. At Nankin Community Church, every day is a do-over -- every new dawn a chance to begin again. We humbly invite you to start over again with us. We can't wait to meet you. "For I was hungry, and you gave Me food: I was thirsty and you gave Me drink: I was a stranger and you took Me in. I was naked and you clothed Me: I was sick, and you visited Me: I was in prison, and you came to Me." -- Matthew 25:35-36.